Officer Billy Dallas was shot and killed as he and his partner conducted a stakeout of a barn where stolen merchandise had been located. When four men appeared at the barn at about 2:00 am, they were confronted by the officers who ordered them to put their hands up. The men, instead, opened fire upon the officers with one suspect striking Officer Dallas three times in the face. He was taken to his home where he was treated by a doctor but died a few hours later. Three men were later arrested and charged with murder. 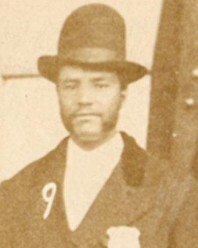 Officer Dallas had served with the Quincy Police Department for two years and was a Union Army veteran of the Civil War. He was survived by his expectant wife and son. Officer Dallas is the first known African-American law enforcement officer killed in the line of duty in the state of Illinois. 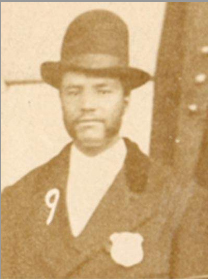 He had been born into slavery and escaped to Chicago, Illinois, before enlisting in the Union Army and becoming a police officer in Quincy. Officer Dallas' story was read in Richton Park Police Department's roll call on 10-11-17 to remember and honor him.